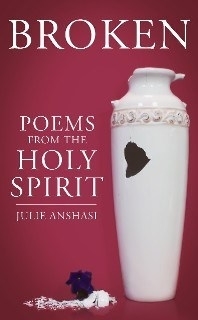 Julie Anshasi is an accomplished writer with uplifting poetry for adults and whimsical picture books for young children. Find Julie's newest releases here, including her latest book: "Behind the Word: Stories to Fire your Imagination." You can also see Julie's writings at GiantPublishingCompany.com. Julie's poetry is remarkable. Her book, Broken, takes us on a journey through feelings of loss and despair and brings us to the very foot of the cross of Jesus Christ, where we can lay those burdens down and find new life and hope. For anyone suffering loss, whether physical or emotional, these touching and encouraging poems offer help and direction, in the Lord Jesus Christ. From one injured, searching soul to another, the words of these poems offer solace and grace that only God can provide to us. Rest in Him. You will find poems that describe feelings of darkness and loss, pain and frustration, which are poured out to God like one of the old Psalms, and which end with joy and release in the Lord. Obscures the One Who made it. When all my prayers have faded. Covered in the blue, gray, black. © Julie Anshasi 2017. All rights reserved. Copied with permission. Amazon for $12.11 + tax, shipping & handling. 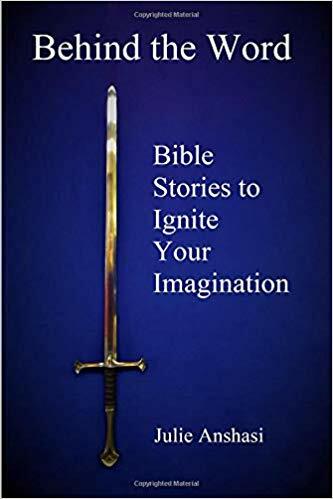 An imaginative look at familiar Bible stories. Julie creates a colorful, dramatic picture of behind-the-scenes Bible characters in these twenty-five short stories. These familiar dramas, told with a new twist, will ignite the reader's imagination and spur him or her on to discover the Bible in a personal way. Full color, with illustrations on every page. Paperback only. Amazon for $14.99 + tax, shipping & handling. 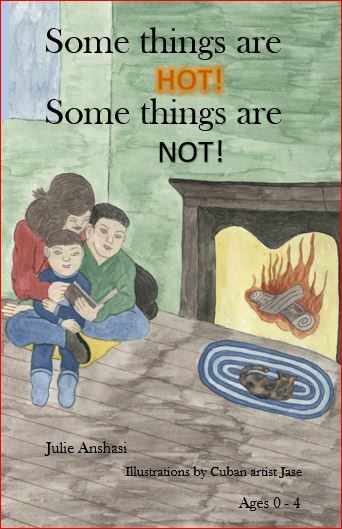 Julie has released a children's book (for ages 0-4) called Some Things are Hot! Some Things are Not! A delightful book that helps very young children understand that some items they encounter are safe to touch, while others are not. Children are warned about hot things such as; candles, curling irons, grills, and logs on a fire. There are also some delightful mentions of how hot chocolate and even banana bread can be too hot to eat (or touch) until they cool off a little. Enjoy this well-illustrated and engaging book with your toddler or young child. And learn that Some Things are HOT! and Some Things are NOT! I have known Julie for a long time. Her life and work are a testament to her faith in God and to His provision. She truly trusts Him and seeks to serve Him. Her greatest desire with her writings is to honor God and to bring Him glory. Thank you for considering Julie's books and for helping support her work. © 2009 - 2019, Sharon Kay Chatwell. All rights reserved.